Thanks to Yuki Ng for initiating the gathering, I had a chance to catch up with other bloggers and share with each other the updates on our lives and blogging career while we eat da yummy Chocolate Lava Cake and celebrated Tiffany Yong‘s birthday at Domino’s Pizza latest store at Arab Street. 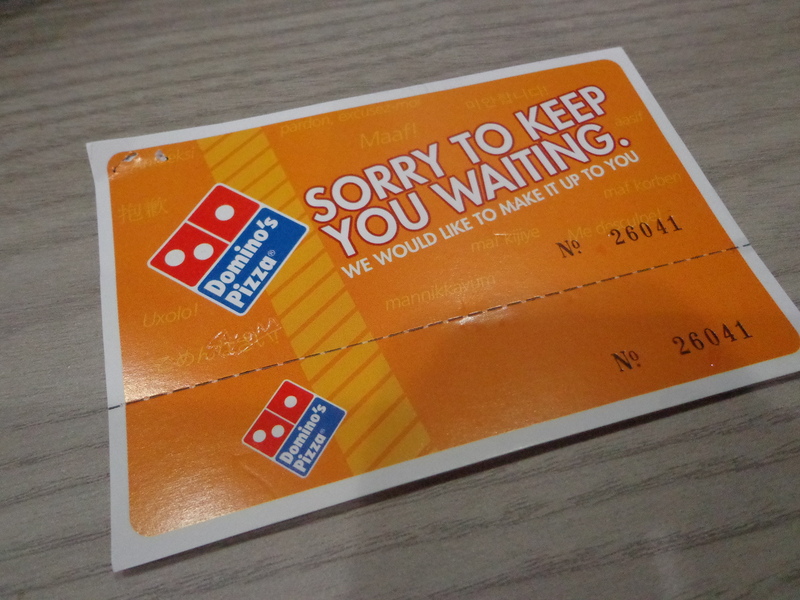 Actually, it was my idea to go Domino’s Pizza for dinner, since they recently opened a new store in the city centre. 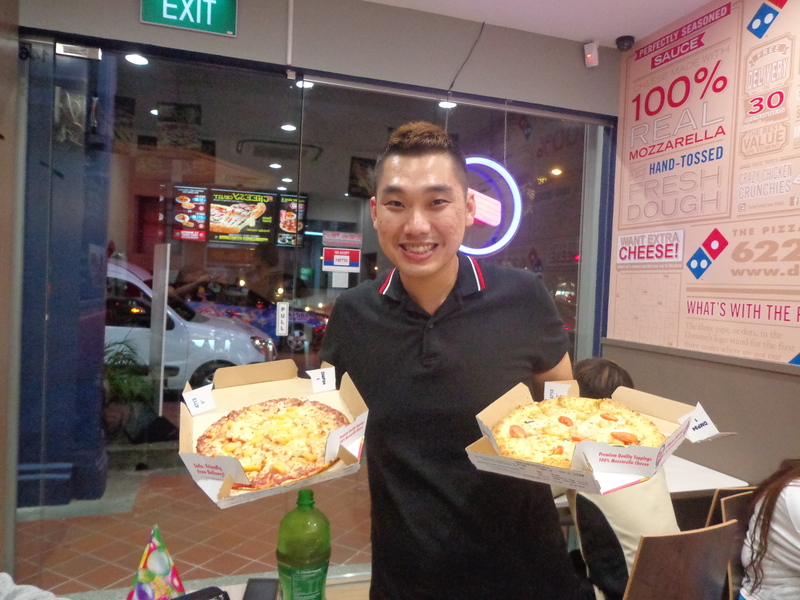 With this new shop strategically located at Arab Street, people who live and/or work near the City Hall, Bugis and Lavender can get to enjoy Domino’s service and their on-going 2 Pizza Deals. I love Domino’s Pizza because all their items on the menu are baked not fried. 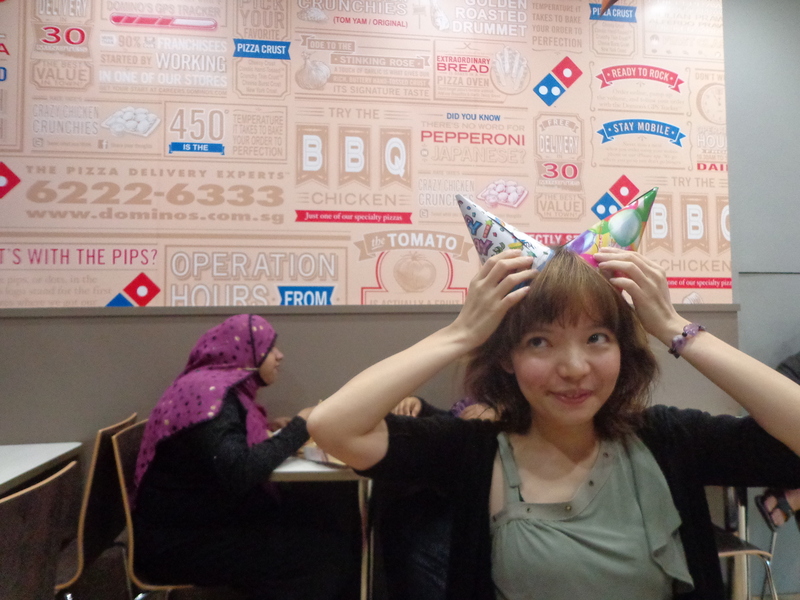 We ordered the Portofino Prawn Pizza with Cheesy Crust. And the Hawaiian Paradise with Crunchy Thin Crust. 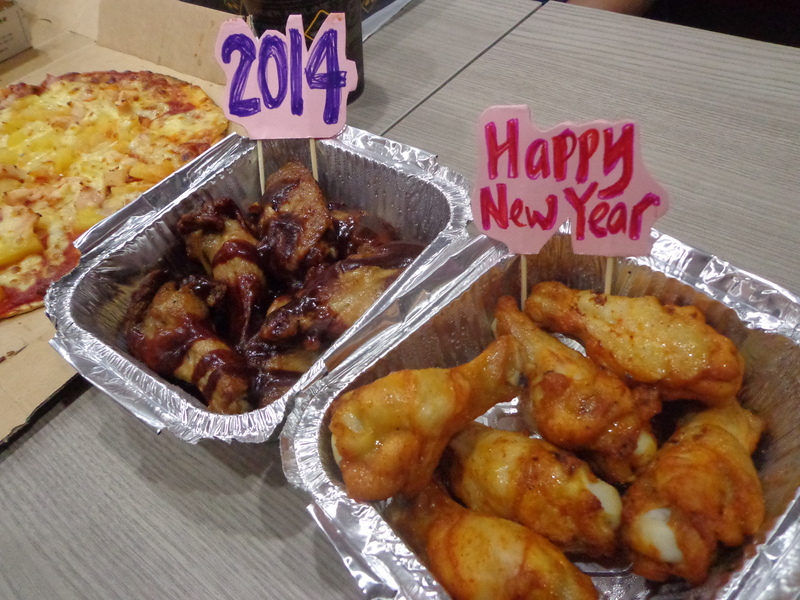 I know it sounds like a lot of calories, which is why between 6 of us, we only ordered two regular pizzas plus 1 serving of Golden Roasted Chicken (6 pieces) and BBQ wings (5 pieces). 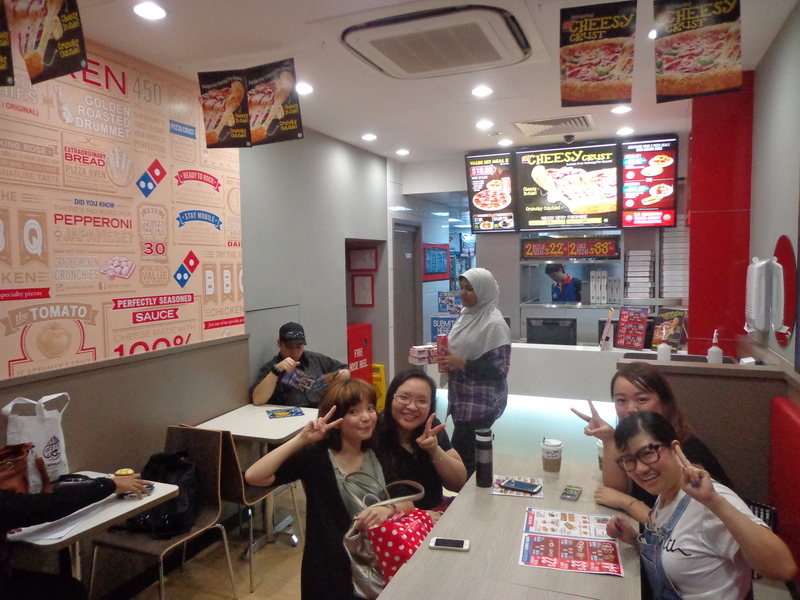 It was a busy Friday day and customers kept steaming in to buy take-away and phone delivery line kept ringing. The new store doesn’t offer much seating, there was two tables for 2, one table for 4, and one table for 6. Total seating capacity is only 14. But most people either call for delivery or order take-away. Just in case you are planning to dine in, like us, it’s better to go early. We were fortunate to get the table for 6, but we waited for more than 15 minutes for our food and were given a coupon in compensation to exchange for a personal pan. Since we dined in and were still hungry after sharing 2 regular pizzas, we used the coupon to exchange for Classic Pepperoni personal pan pizza. But in order to utilize the coupon, we had to make a purchase. Being a fan of their dessert, we ordered a Chocolate Lava Cake to share. 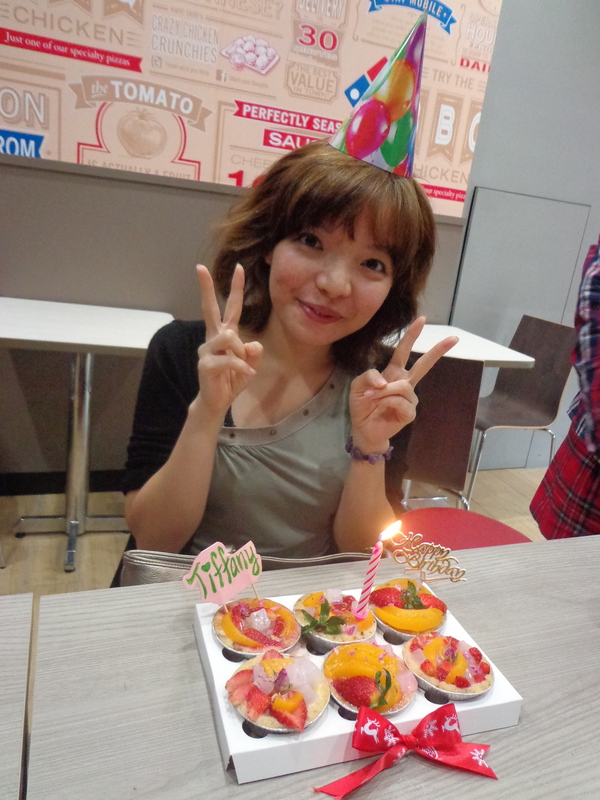 The staff at the friendly were friendly and they allowed us to store Yuki‘s homemade tarts in the kitchen. 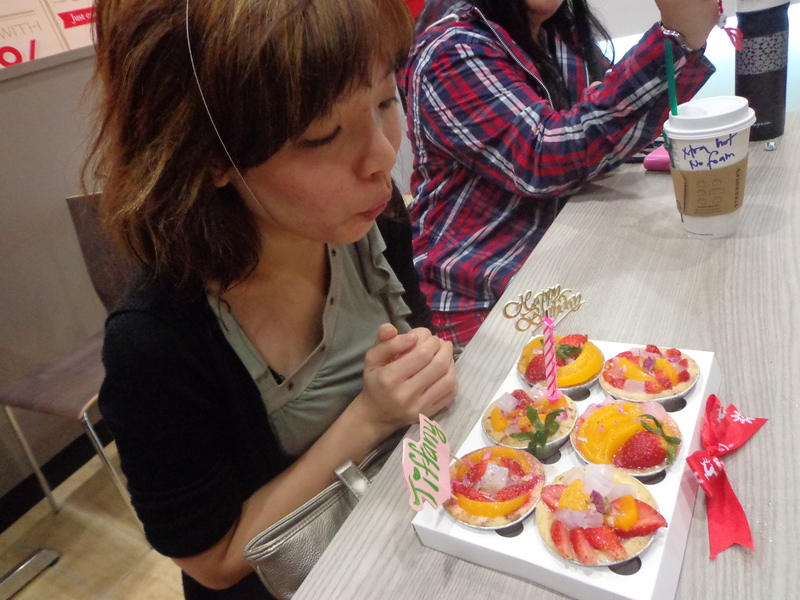 Yuki‘s tarts were the cherry on the cake. Food Blogger Michelle (Michhysaurous), Travel Blogger Priscilla (Pingerrain), Mommy Blogger Susan Wong and I were all very impressed by her baking. (Click on their names to check out the “behind the scene” Instagram and also see Michhysaurous’ Instavideo.) I had a good time that night. The best way to wind down a week is to gather with pals, enjoy a hearty dinner with lots of laughter. I felt bad that our loud chat and laughter would probably have bring the house down. LOL. The only wish that I could have that night would be to hope that the new outlet wasn’t so busy and our order could have been served faster. But the place will definitely be another great hangout place, given its proximity to town and its serene location along Arab Street. Once again, Happy Birthday Tiffany Yong! May you live long, take more wacky photos and #InstaDaily! 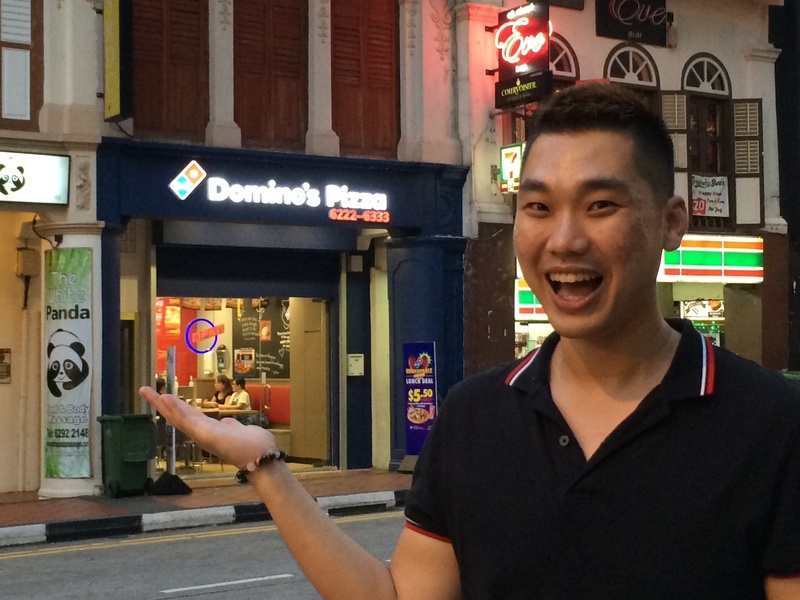 Domino’s Pizza new store is located at 146 Arab Street, next to The White Panda Massage. It’s at the junction of Victoria Street, and near Raffles Hospital. Nearest MRT Station is Bugis. 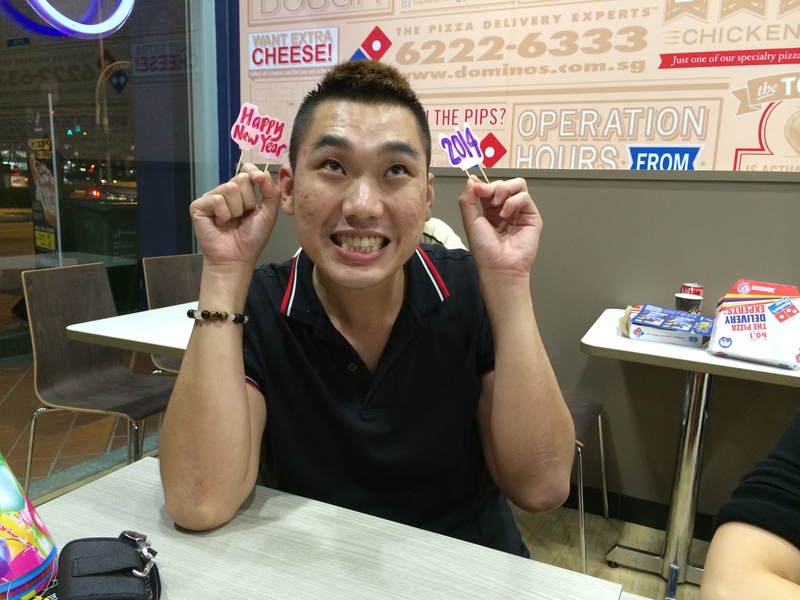 Check out www.dominos.com.sg or call 6222 6333 for Domino’s pizza delivery. This entry was posted in Daily life, Food, Singapore and tagged arab street, arab street food, arab street pizza, arab street singapore, arab street singapore food, bloggers gathering, cheesy crust, chocolate lava cake, crunchy thin crust, Domino, domino hawaiian pizza, domino pizza singapore, domino seafood pizza, dominos, dominos arab street seating, dominos pizza, dominos pizza arab street, dominos pizza arab street seating, dominos pizza coupon, dominos pizza deals, dominos pizza discount, dominos pizza new outlet, dominos pizza new store, dominos pizza sg, dominos pizza singapore, dominos singapore, dominos singapore menu, dominos singapore news, dominos singapore number, dominos singapore online, dominos singapore outlet, hawaiian paradise pizza, hungry go where, michhysaurous, open rice singapore, pepperoni pizza, pingerrain, pizza arab street, pizza coupon, pizza crust, Pizza Deals, pizza in arab street, pizza in singapore, pizza place near arab street, portofino prawn pizza, susan wong blog, tiffany yong, trip advisor, what to eat for birthday, where to go for birthday, yuki ng, yuki ng blog. Bookmark the permalink. Win an OSIM uFootsie and Say Good-bye to Aching Feet!